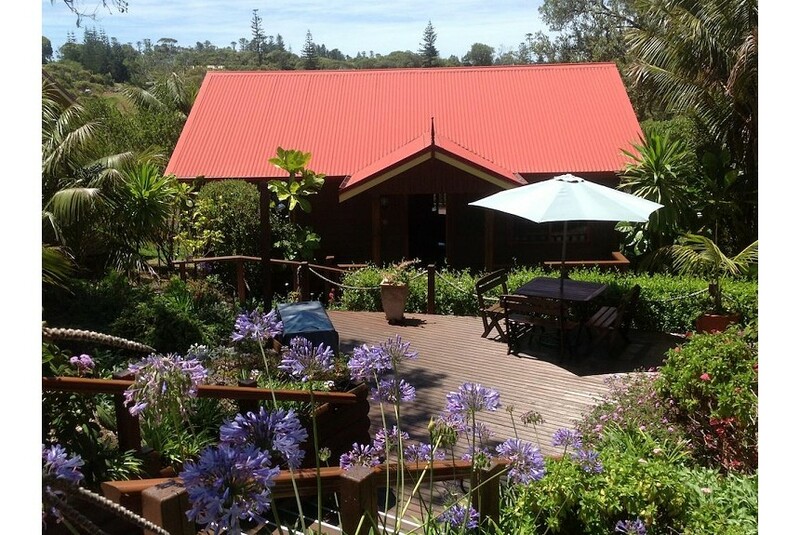 Surrounded by glorious gardens full of flowers and native plants, our country style timber cottages offer all you could want for a relaxing comfortable stay on the Island. The five cottages are owned and operated by locals Bookie and Vanessa McCowan who live on site. They have a wealth of information and suggestions to offer all guests to make your holiday a memorable one. Located on Cutters Corn Road, in a quiet no-through-lane, the cottages are central to the town center (3kms), the beaches, golf course, historical areas (5kms). They are situated on a ridge that offers lovely valley views through to the ocean at a distance. They are all private and face the north, attracting sun all day yet catching the cooling summer breezes. The cottages are tastefully decorated and appointed with all the modern conveniences.They are spacious, open and light and all have large private verandahs to take in the view.